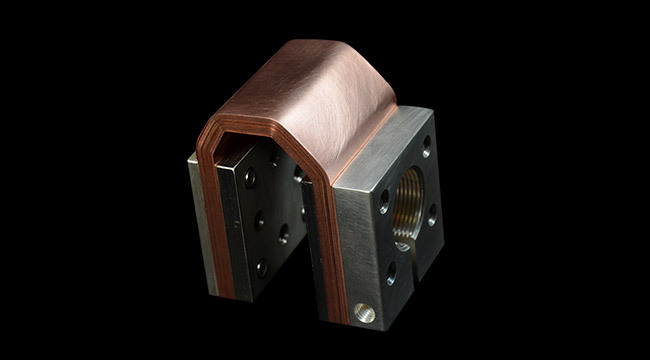 When flexible braided connectors are not an appropriate solution, laminated copper and aluminum connectors may be the perfect option. They maintain optimal levels of electrical and mechanical properties while sustaining the stresses of movement and heat. 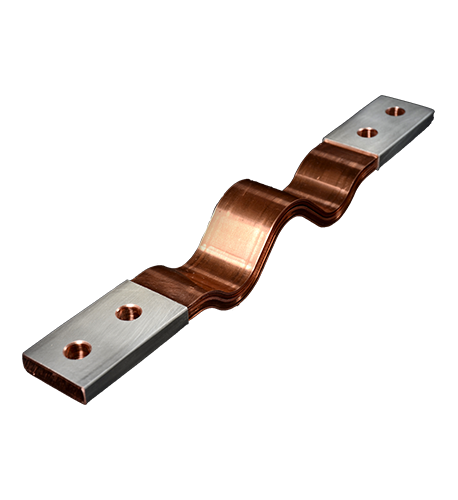 As a result, laminated connectors protect your equipment and increase its operational lifespan. 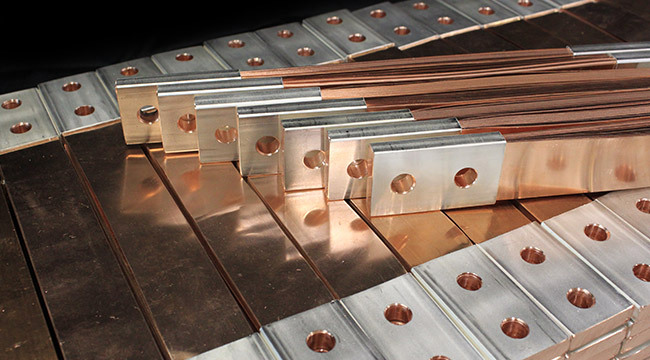 Using proprietary high-precision equipment, Exel manufactures laminated connectors to your specifications, and rigorously controls production quality. 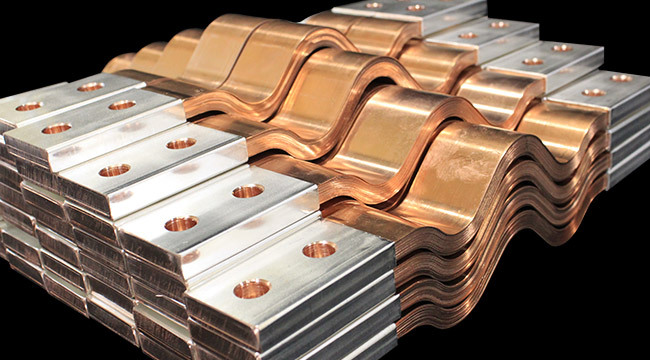 Standard laminates vary in thickness from 0.005” to 0.04” and in width from 0.5’’ to 10’’. The standard thickness plating on a contact pad is 0.0003” although it can reach up to 0.004”, upon customer request. 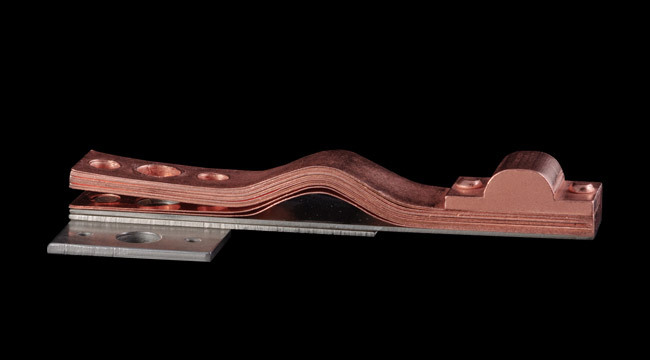 Width of connecting pad up to 10"
Thickness of connecting pad up to 3"
Total connector length up to 72"
100 to 7,500 amperes, according to design specifications. If vibration is a critical factor, we suggest using flexible braided connectors.